After working in heavy industry (Cerro Metal Products) as a production supervisor for 13 years and owning and operating a private business for 10 years, I decided to persue a lifelong dream. I entered the real estate field in 1998 with ERA Benchmark Realty, which merged with Prudential First Choice Realty. I made a move to RE/MAX Centre Realty and when KELLER WILLIAMS Advantage Realty came to the State College area I came on board and have been very happy and helpingclients realize their real estate dreams. 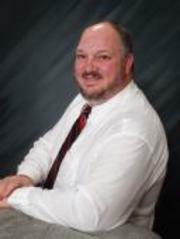 I specialize in residential sales, rural/hunting land and cabins, land development and new construction sales. I a married (27+ years), have 4 wonderful daughters that my wife, Lorie, and Ihave raised in the Centre County area. I enjiy hunting, fishing, home projects, gardening, winemaking, and all the outdoor activities this area has to offer.